While Trinamool Congress leaders have pointed fingers at the BJP, the saffron party has blamed TMC in-fighting for the MLA's killing. Kolkata: The mystery behind the murder of Trinamool Congress (TMC) MLA Satyajit Biswas is getting murkier. The MLA from Krishnaganj, Nadia, West Bengal was shot dead at a Saraswati puja event in Phulbari village on Saturday. Media outlets like the Times of India, India Today and Bengali newspaper Ei Somoy reported that Bharatiya Janata Party state leader Mukul Roy had been named in the FIR in the case. Roy is a former Central cabinet minister and used to be the right-hand man of West Bengal chief minister Mamata Banerjee, before he shifted to the BJP. The Wire has learned that the police seized the weapon from the site and held two people for questioning on Saturday night. Biswas was attending a cultural programme in a fair organised for Saraswati puja by the local club, along with other leaders. Ratna Ghosh, the state minister for micro, small and medium enterprises, was also in attendance. Biswas was rushed to the Nadia district hospital, about 20 km from the shootout site, where the doctors declared him dead. 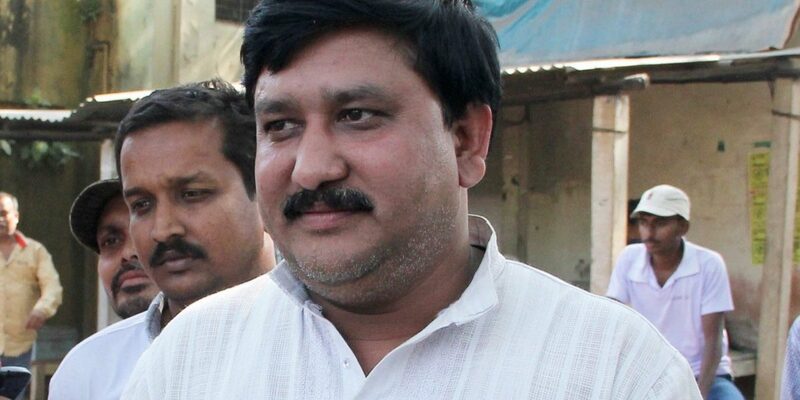 Prominent TMC leader Anubrata Mondal, who was recently given the additional change of monitoring party operations in Nadia district, accused the BJP of orchestrating the killing. “As of now it seems the BJP is behind this. I can only tell you more on this after speaking to the district president,” Mondal told The Wire. “We demand a CBI probe into this. If the state police investigate it, nothing will ever come out,” the BJP leader said. Ghosh further said that in early 2018, the TMC block president of the area, Dulal Biswas, was also murdered. Even after a year, the investigations have not reached a logical conclusion, he said. Biswas’s killing becomes even more significant in the run-up to the 2019 Lok Sabha elections, as political tensions are already running high in the state. The deceased MLA is survived by his wife and seven year-old son. Although the police is yet to ascertain the motive behind the crime and whether it was politically motivated, differences among the TMC cadre on the ground is not unknown. A local party worker from the Krishnaganj area, who did not want to be named, said factional infighting within the TMC is clearly visible. “Local old-timers of the TMC were not happy with Satyajit Biswas’s way of operating, and a clear political divide can be seen among the party workers,” the worker said. In the recent panchayat election in Nadia, TMC faced a disappointing result at the zila parishad level. “A lot of Left votes had gone to the BJP,” a reporter from a Bengali language newspaper said. The BJP has made considerable inroads in the region by consolidating Hindu votes. They have been successful largely for two reasons: the factional divide within the TMC, and appeasement of the influential Matua community. Earlier this month, Prime Minister Narendra Modi had attended an event organised by the Matua community, where he met Binapani Devi, the community’s matriarch.